Kendall Vertes is an American dancer, singer and television personality who rose to prominence after appearing on the second season of the Lifetime series Dance Moms. Kendall Vertes was born on 9 December 2002, in Pittsburgh, Pennsylvania, United States. Kendall Vertes is very reluctant to talk about her private life with the media. 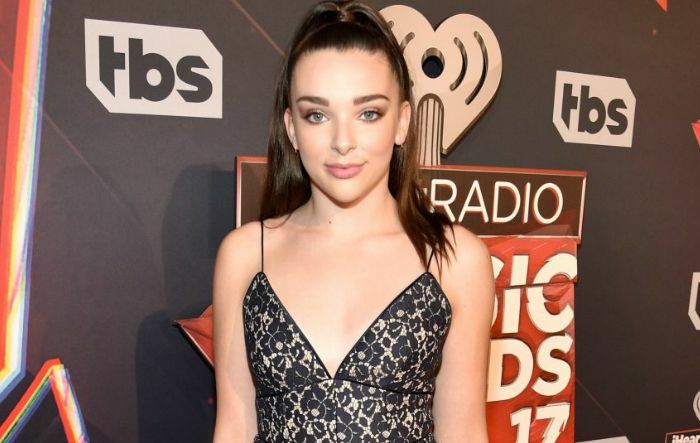 In 2012, Kendall Vertes made her debut television appearance on Lifetime’s reality dancing show Dance Moms as a contestant. Kendall released her debut single “Wear ‘Em Out” in 2015 which surpassed Taylor Swift’s “Bad Blood” on the iTunes music video chart on the day of its release. She has been widely recognized for appearing in the reality shoe Dance Moms. According to various sources, her net worth is closer to $1 million. That comes from her TV and public appearances, brand endorsements, social media earnings, and more. She bean dancing when she was 18 months old. She learnt dance from Candy Apples Dance Center and was with Abby Lee Dance Company before her inception into the show. Her mother is left-handed and so does she. Kendall Vertes enjoys playing tennis and softball apart from dancing. Her celebrity crush is Cameron Dallas. Kendall loves animals and she has two cats, a dog, and two guinea pigs. She has created her own emoji set called KMojis. She wanted to be on Broadway someday, but if she doesn’t dance, she wants to be a dentist. Kendal is best friends with Maddie Ziegler, Kalani Hilliker, and Mackenzie Ziegler. In 2017, She launched her own line of clothing through Target and also released her first TurnBoard Pro.